I’ve had personal experience with the hazard that slippery area rugs can pose. When my Dad had his stroke in 2000, the rehab hospital (the amazing Spaulding Rehab’s facility on Cape Cod) would not release him back to his home without the removal of the smaller area rugs since none had rug pads. And more recently, a close friend’s elderly Mom tripped on an area rug that was placed on top of of a wall-to-wall carpet and she’s now in assisted living. Tripping on rugs is a big deal to both old and young alike. The folks at Rug Pad Corner contacted me a while ago offering me three pads to check out and review. Since I’ve just moved, I did have rugs that definitely needed pads. 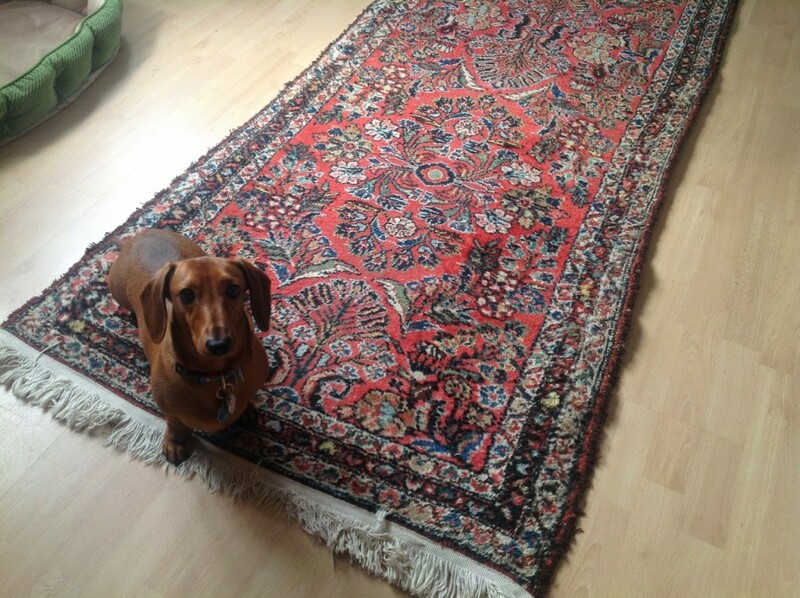 And, since I have a little dog who loves to race from one end of the house to the other, my rugs were always askew. I was sent three cut to order pads from their Ultra Premium line. These are felt on one side and a rubber on the other. One of my rugs is a vintage (or even antique I’m not sure how old it is) runner that just came out of my parent’s house. 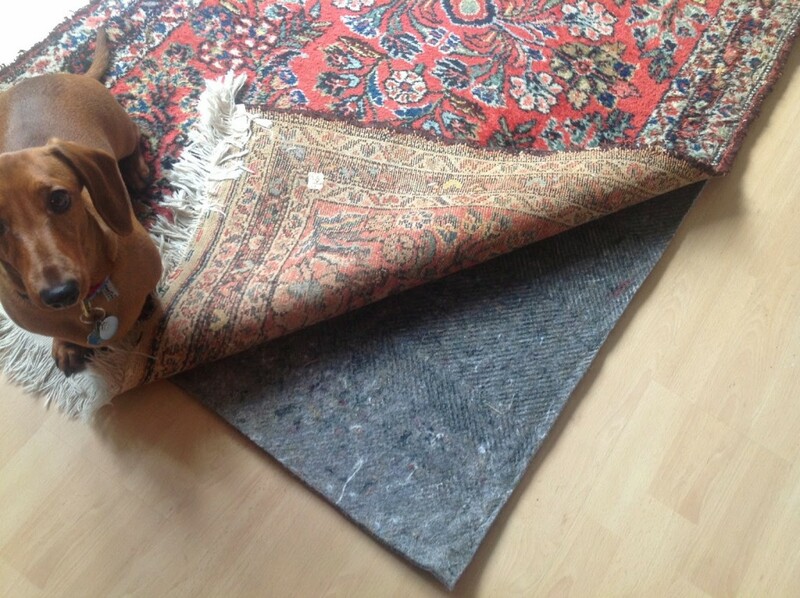 Although the rug is very heavy and my dog is not, he was still pushing it around with his playful antics. Since I’ve installed the rug pad (and of course by “installed” I mean laid it under the rug which not easy when the dog is on top of everything!) the rug hasn’t budged an inch. The felted side is placed towards the rug and the rubber side is against the laminate floor. My other two rugs are in the kitchen. They are indoor/outdoor rugs from Ballard Designs sitting on ceramic tile. These rugs were always out of place and crooked with just daily wear and tear and most especially RoyRoy’s running over them like a mad man. The rug pads have stabilized this greatly, though the rugs themselves are so light that they do move a bit over top of the rug pad and I have to readjust every couple of days or so. But it’s nothing like it was before. 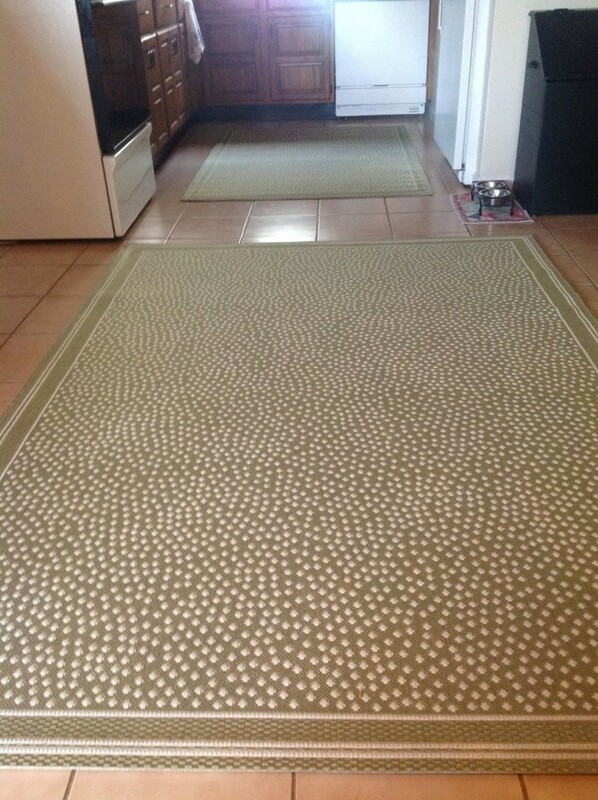 Not only are the rugs more stabile but they also feel so much warmer and plusher to walk on. The ceramic tile floor is very chilly and will be downright freezing in the winter I suspect. But the added insulation of the carpet pad has made a huge difference in that regard as well. Rug Pad Corner uses natural felt and rubber and their rugs are made in America with American materials. 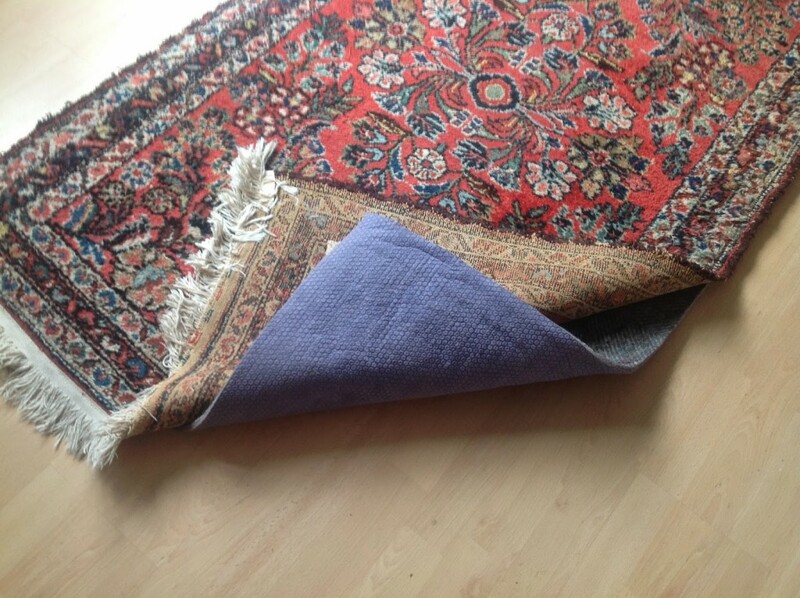 There are no imported materials or chemicals and their rugs are hypoallergenic. There are no adhesives used; they use a trademarked RPC Heat Pressed (TM) process with reinforces the materials within the rug pads. Thanks to Rug Pad Corner for sharing your product with me. While I have received these goods, my opinions are my own based on testing the product for a period of two weeks.